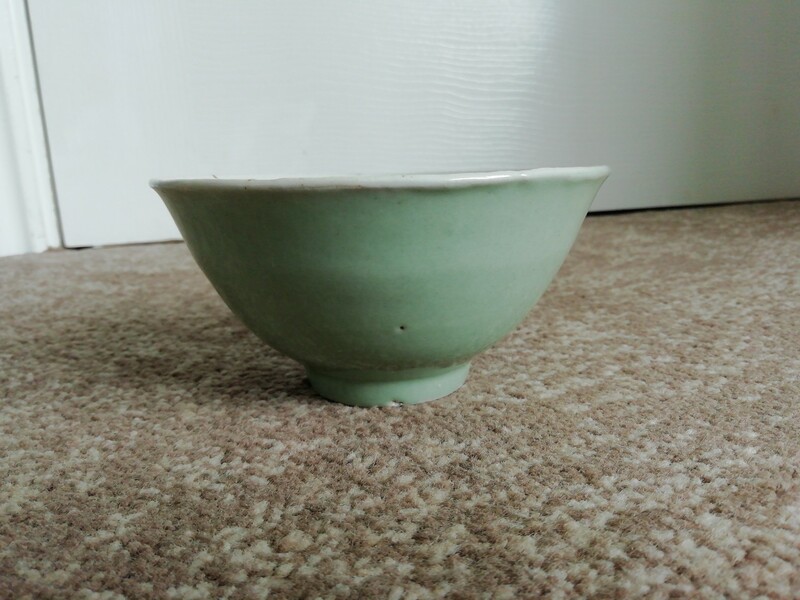 Hi, I found this Chinese bowl and was wondering if you could provide me with some information on it, such as its age. 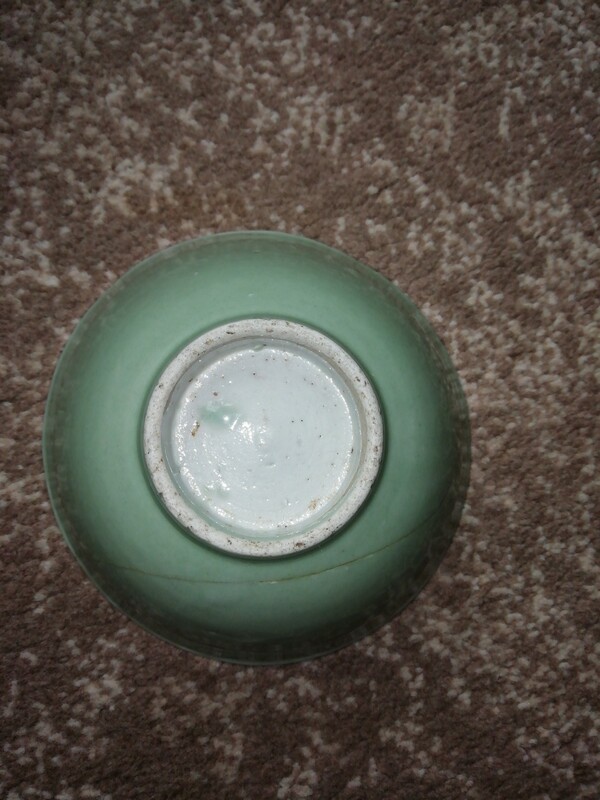 China produced quite large quantities of this green outside household ware in the 1950s, I still have a few pieces. 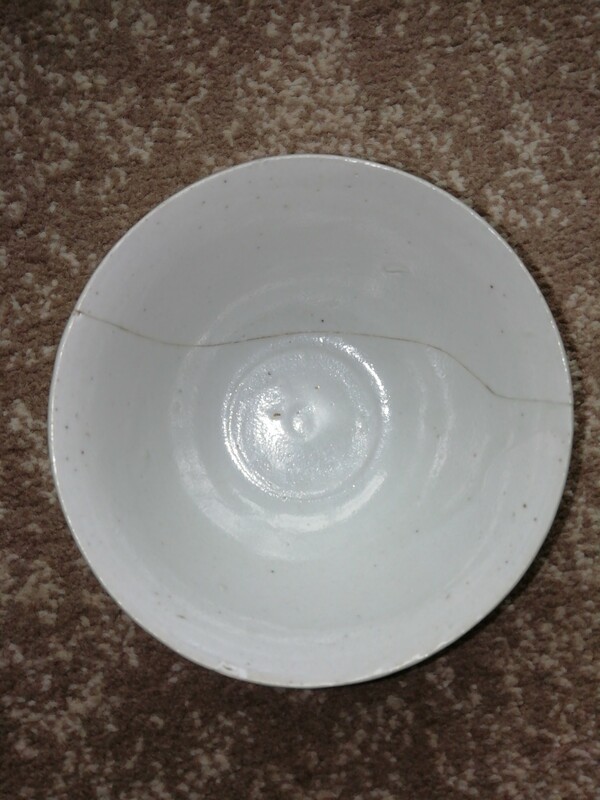 Your bowl is very similar to bowls used in mining camps and other areas where 19th century immigrant Chinese workers lived in North America. In Canada, I have seen many of these bowls that have been dug by bottle collectors at ghost town dumps. It is my understanding that they were sold at Canton docks to Toysan and Josan emigrant workers as part of their kit.